Thank you for your application. Unfortunately, ticket application has now closed. 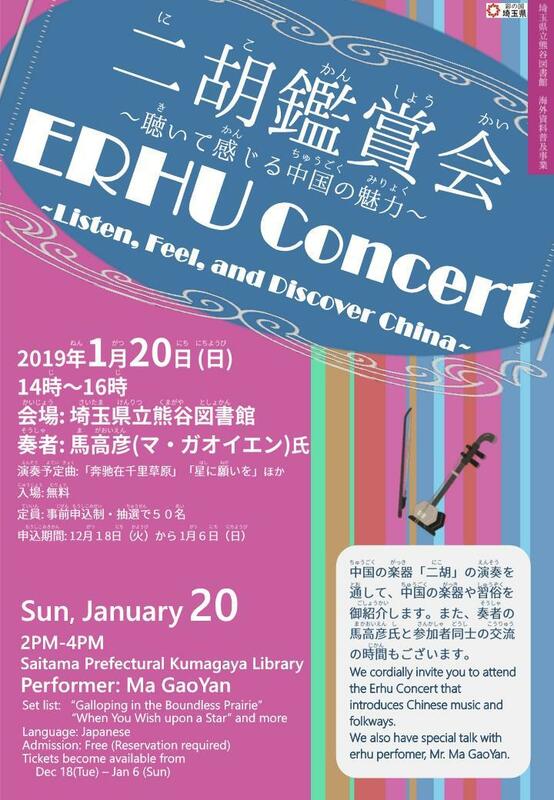 We cordially invite you to attend the Annual Erhu Concert that introduces Chinese music and folkways.Enjoy Chinese musical instrument "erhu" performance. 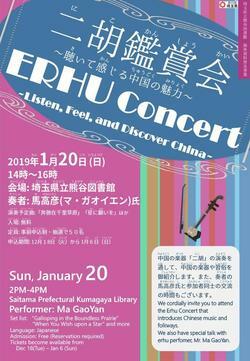 We also have special talk with erhu perfomer, Mr.Ma. We heartily look forward to your visit. Free (reservation required, Capacity: 50 guests). 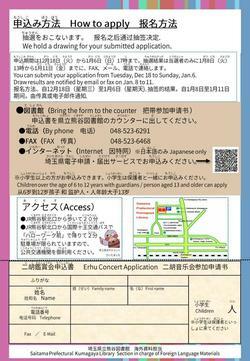 Tickets become available from Tuesday, Dec.18 to Sunday, Jan.6 at the Saitama Prefectural Kumagaya Library office. 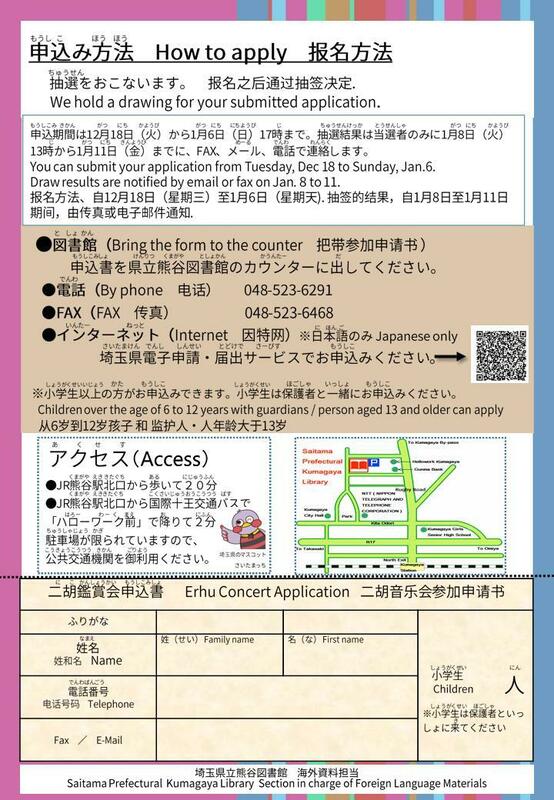 Please call (048‐523‐6291) or fax(048-523-6468) or access the online registration form(Japanese). We hold a drawing for your submitted application.Winners are notified by email or fax on Jan.8 to 11. Tuesday-Friday, 9:00 am. - 7:00 pm. and Saturday-Sunday, 9:00 am- 5:00 pm. Copyright © Saitama Prefectural Libraries, All Rights Reserved.